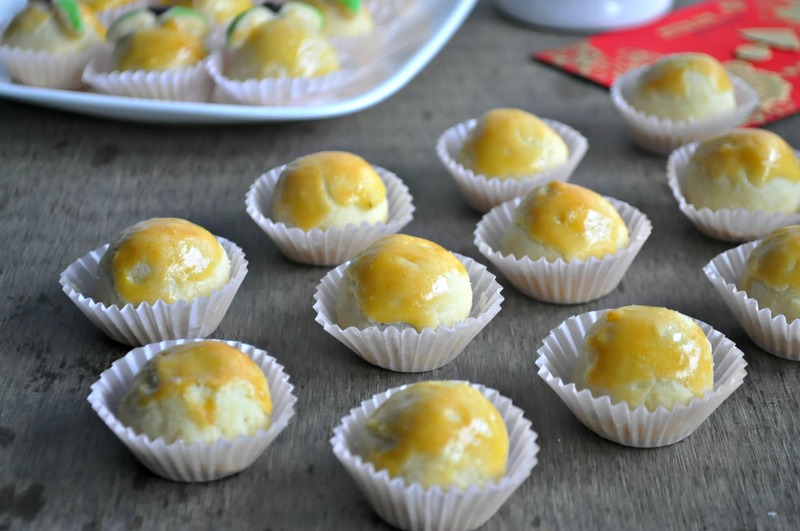 Well, I believe most of us would have our favourite pineapple tarts recipe by now. So do I !! 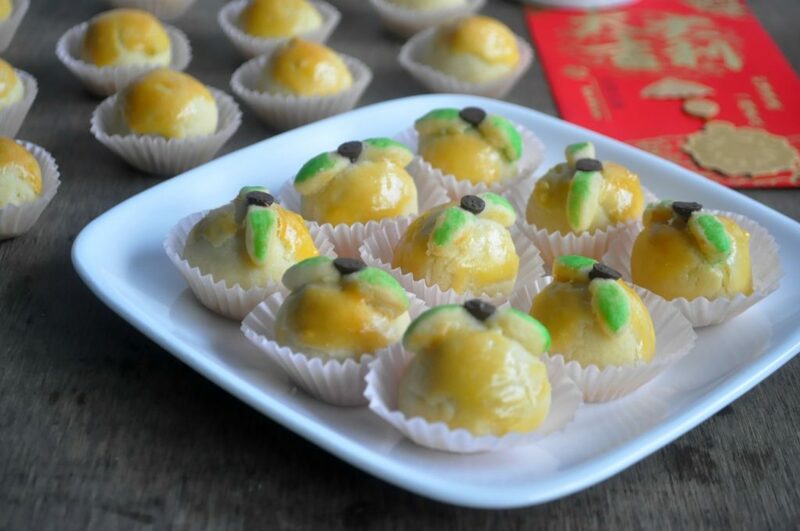 But to be frank, pineapple tarts aren’t exactly my favourite CNY goodie at all. Even though I do make them, it’s mainly for the families or guests. Also, I am more of the “crust” than “jam” person. I don’t really enjoy the pineapple jam but I would love a buttery crust that melts in the mouth anytime. This year, I tweaked the recipe slightly and used a more premium butter and what I yield is an even more buttery crust than before that literally melts in the mouth once you popped it into your mouth !! As for the pineapple paste, I cooked my own too, using a combination of fresh and canned pineapples. In addition, I also added some store-bought paste and cooked them all together. Fresh pineapples has a lot of fibres which some might of you might liked, but they aren’t exactly for me as they tend to “cut” my tongue easily when eating. Hence, some canned pineapples helped to reduce the problem. Store bought paste aren’t there for no reason also, the addition of it to your own cooked paste allow you to enjoy the best of both worlds ! They helped to enhance flavour to the own cooked paste and brings out the pineapple taste even better. I used not to think much of it, until a pastry chef ever told me to try out this method and a food critic actually comments it’s indeed good, much better than just purely the paste of either own cooked or store bought entirely. I also used canned pineapples as they contain the syrup that I added to the pineapples to cook together. With that, no sugar are further added. But the level of sweetness that everyone desired is really subjective, hence it’s up to individual to determine. Try to use solely egg yolk for the egg wash. It helps to bring out a more brilliant colour than just the whole egg itself. But if you do not like the unevenly colour that it brings out, you can always do without it. 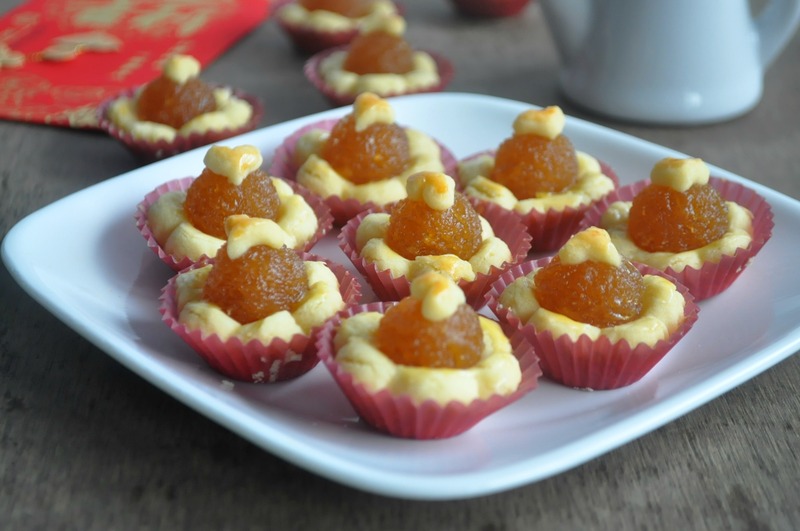 But somehow I find that for those open pineapple tarts, it’s perfectly fine to do without egg wash, since the golden hue of the paste in the centre is good enough to attract attention. But for those enclosed tarts, a bit of colour might be better somehow, otherwise it would look under-baked ? Heehee… still this is just my personal preference though. 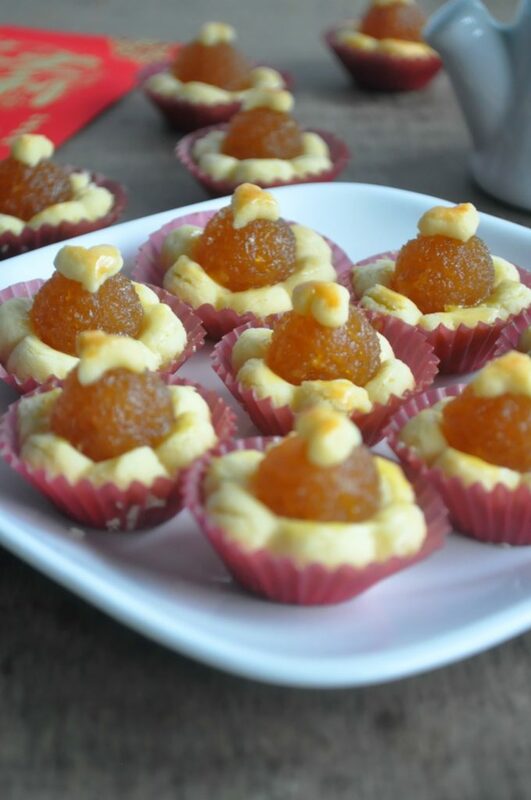 Now don’t fret about having unequal tarts’ sizes or uneven baking tone. After all, that proves these are home-made more than anything and not something that’s of mass production !! 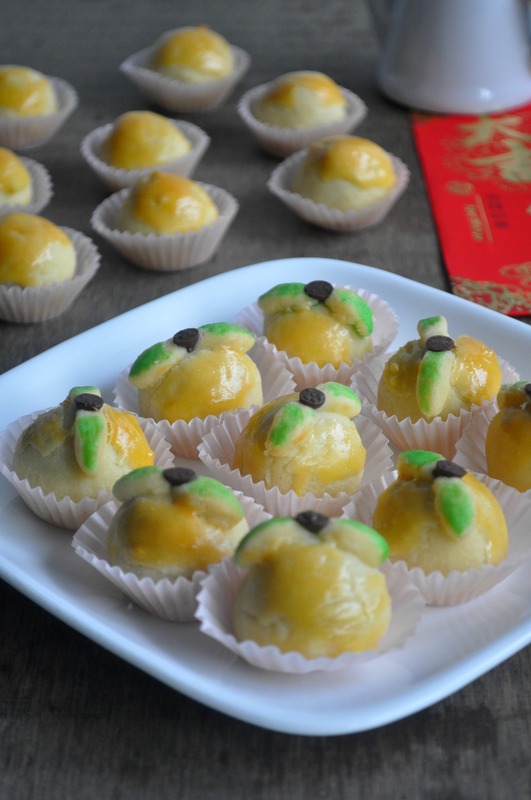 Hope everyone have fun making your own pineapple tarts !! And beside fresh poultry and seafood, PurelyFresh offers fresh fruits for sale online too !! 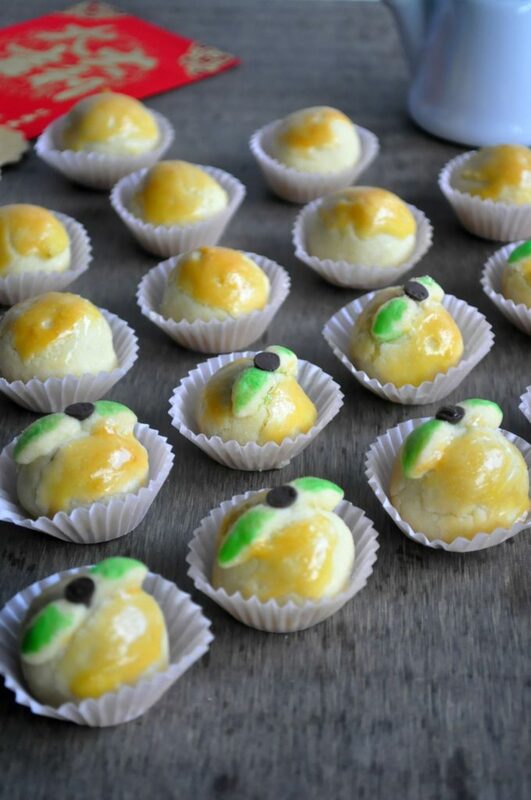 Especially fresh pineapples that you need to make your own pineapple tarts !! What’s better than to have heavy and bulky fresh fruits delivered to you at your convenience !! Enjoy !! Combine all the blended pineapples together with the syrup from the can and cooked on low heat in a wok with the pandan leaves. Add the store bought paste when the cooking is almost done. Remove from flame when the pineapple paste is fairly dry (difficult to stir through). 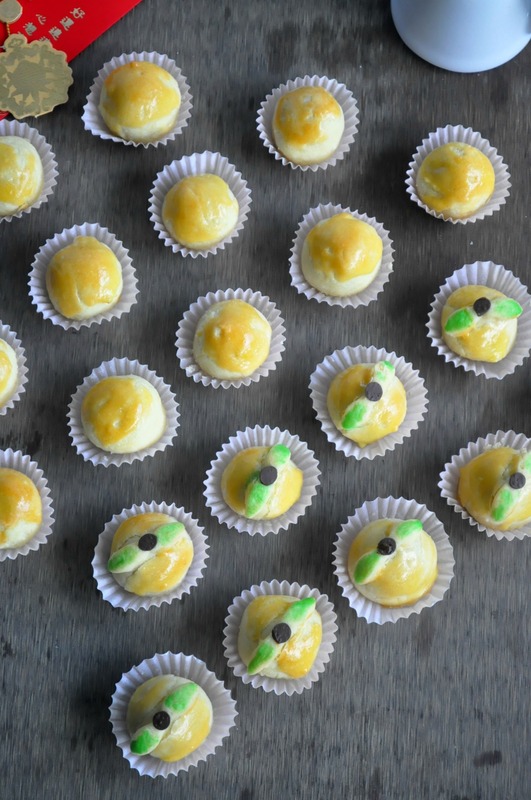 Combine all the ingredients for the pineapple tart crust in a mixer and beat till a dough is formed. Wrap the dough in a cling film and place them in the chiller fridge to harden it slightly so that it's easier to work with. 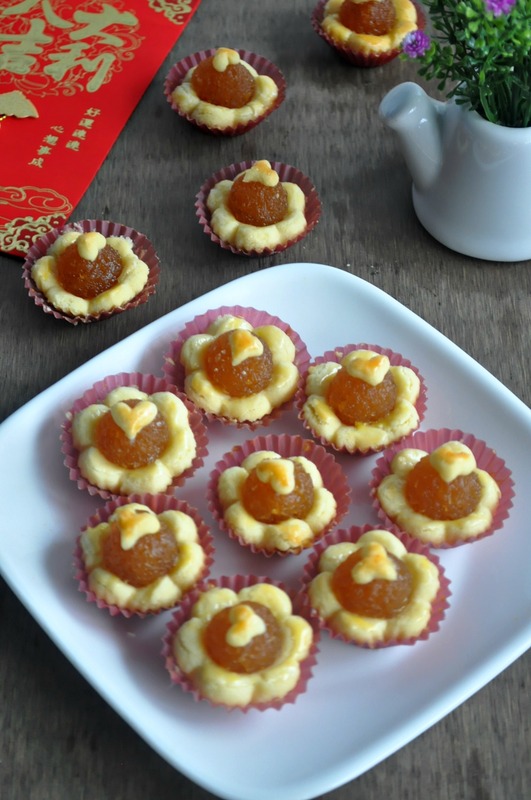 Use a pineapple tart cookie cutter if making open tarts. Roll the paste into balls. The paste should weight approximately 8-10g each depending on the size of your cookie cutter. For closed tarts, I used a tablespoon of dough to a teaspoon of paste. Place the dough in a tablespoon measuring spoon, flatten the top and remove the dough and wrap in the paste. Bake in pre-heated oven at 170 degrees C for open faced tarts for 12-15 mins depending on how brown you want it to be. For closed tarts, bake at 170 degrees C for 10 minutes, remove and egg wash and baked for a further 6-8 minutes, depending how on brown you want it to be. If sugar is used, add in the sugar only towards the end of the cooking of the paste. Otherwise, the sugar will caramelised too early and caused the pineapple paste to turn darker in colour. I used a chocolate baking chip instead of the usual clove for the "stalk" of the pineapple. As the clove cannot be eaten, I find it troublesome to remove it before eating, so an edible chocolate chip is used.